The following is Nikki Kimball’s race report from her win of the 2014 Marathon des Sables. You can check out the details on how the race went down in our complete results article. Also, watch her post-race interview from out in the Sahara Desert. Typically, I take much of the winter off from any serious running, maintaining my fitness through alpine touring and cross-country skiing. I do not believe that one can compete at her top level with any frequency in ultras for a decade and a half without a yearly resting of the legs. Skiing allows me to maintain cardiovascular fitness, build core, arm, and leg strength, and take my brain off my primary sport for a few months every year. I believe my longevity in racing ultras intensely is largely due to this yearly break. In fact, I have not run any event over 50 miles prior to late April since 2001. I take this yearly break very seriously. That said, I love to explore new cultures, new ecosystems, and all the flavors the sport of endurance running can offer. Marathon des Sables has long intrigued me, but in a peripheral sort of way. The entry fee exceeds budget and the timing just doesn’t work for me. So I assumed I would never have the MdS experience. Then the Ultra-Trail World Tour stepped in with an entry, which I just could not turn down. To explore an ecosystem as foreign to me as I’ve ever seen. My initial plan had been to ski and ski race through most of February and early March, while adding a bit more running miles to my typical schedule in order avoid an injury that could occur from entering a week of intense long runs without decent preparation. In January, however, I received an offer to travel to India for an event that would turn out to greatly enhance my MdS experience. Thus, in February, Krissy Moehl and I traveled to India to a new and exciting 101k race called Run the Rann. I knew running a 101k with one-month’s notice was not the smartest decision I could make for my performance. But my desire to visit India, run in yet another venue, and give a presentation on ultrarunning to an audience with little exposure to the sport excited me enough to accept. I added a few long runs to January’s fun-on-boards plan, and got a very long run as well as some heat exposure in during the February race. In March, my life outside of running proved busier and more stressful than normal. My depression, usually kept well controlled by medication, showed its bothersome symptoms for the first two weeks of March (fortunately a very short bout), encouraging me to spend countless hours I did not have to spare staring at my bedroom walls. With much encouragement from friends, I got my extra long runs in but I was far too unmotivated to carve out any time for heat training or speedwork. In addition and perhaps a contributor to my macabre mood, I began to notice the toll of too much recent traveling. Between October 2013 and February 2014 I’d taken running trips to Texas, Hong Kong, China, Colombia, and India. Despite a healthy mood in general, as the end of March neared, I became preemptively homesick just thinking about MdS. I simply did not want to leave home, run a race for which I was underprepared, or miss out on the great spring skiing southwestern Montana had this year. My attitude left vast room for improvement. But I recognized that I had put myself in this over-traveled situation, and I owed it to the generosity of the UTWT to get my head into race mode. I decided I would finish in the best place I could given the preparation I’d given myself. I can be a very patient racer, typically picking off places later in my events. I have a good base level of fitness from over 30 years of structured endurance racing. I deal well in adverse conditions. My body performs well in a fat-burning, ketotic state which would allow me to run comfortably on the minimum required 2,000 kilocalories/day. Lack of recent heat training. My rookie status in a race may people say is won on experience. With this assessment in mind I formulated my goals: to have fun, attain the best result possible without risking injury, and not show other participants any of the bad attitude I felt. Without spoiling the ending, I can say I was mostly successful in each area. Racers are scheduled to arrive to the startling-line camp by 7 p.m. Friday before the race starts on Sunday morning in order to orient to the camp structure which will exist for the entire week as volunteers and paid workers take down and reassemble the bivouac every day once the race begins. The last bit of daylight on Friday helps athletes view the camp, meet their tentmates, and make last-minute gear adjustments. With over 1,000 participants, the organization needs all of Saturday to go over the gear requirements, food supplies, and medical needs of each racer. Being new to the event I planned to use the evening to review, in person, my gear choices with nine-time MdS veteran and North American coordinator Jay Batchen and a few others. Unfortunately our travel group would not arrive until nearly 10 p.m. and I would not be in the mood to lament the lost opportunity to complete my last-minute gear adjustments prior to my early morning check-in. As we drove in a caravan of five buses to the bivouac site, we passed the aftermath of a road accident. I believe most people did not see the horrific site, as many on the bus were asleep, and the scene, except for intermittent light from a source outside the bus, was dark. Two older men who had been riding bikes lay in pools of blood alongside the road. A car, driver’s door open, dented in front, and positioned 100 meters down the road, looked abandoned. One human figure lay immobile, while the other seemed to try repeatedly though unsuccessfully to sit upright. He managed only a small rise of his head and left shoulder. I have never seen so much blood. It soaked into their flowing desert clothing and covered large areas of tarmac. No one spoke of this. We did not stop. Traffic control apparently pushed the buses onward. All my bus neighbors with left-side window seats slept. I watched this silent horror film alone. Forty-five minutes later we arrived at camp and Jay showed me the tent I would share with six other runners for the next week. My tentmates, sleeping soundly, had left a clear spot open for me. Not bothering to unpack, I crawled into my sleeping bag, gory visions ushering me to sleep. I told no one about the accident. I wanted to bury it, to erase it. I saw no reason to burden others with descriptions of a scene they were more helpless than I to change. Ultramarathoning is a largely mental sport and the weight of the unfairness of our world is not something one needs to carry through the desert. For the next two days, I barely thought of the scene. I seemed successful in my evasion. But images did later return to my waking thoughts and my dreams had not been peaceful. 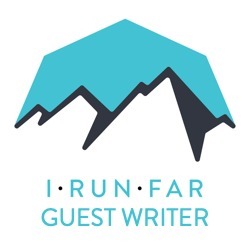 A couple days later I shared my experience with iRunFar’s field correspondent Kirsten Kortebein. The piece of this story that disturbed me most was my ability to shove the images aside for two days prior to seeking counsel from Kirsten, a worldly young woman who helped me overcome the images when my mental walls started to crumble. I rarely thought of the event during the rest of the week. Writing this I am weeping slightly, but I am not sure if I weep for the loss of life or for my ability to avoid thinking of the same for more than a week. In any event, the medical team could not have been nicer. They simply explained that they wanted more information to be as sure as they could that my body systems did not pose any specific medical risk. A dermatologist and a tech administered an additional 12-lead ECG. The race doctor approved of the results and wished me good courage for the race. This was a good learning experience for me. Previously, I viewed the multiple and very specific rules as a way the race organization could further stress the athletes. In reality, I think the medical staff simply knows that there is significant risk inherent to running long distances in extreme heat and unrelenting sun while concurrently being underslept and underfed. This was the first of several times the medical staff would impress me. The race began the next day with 12 of the first 15k traversing the largest dunes in Morocco. Immediately upon hearing the starting gun, a sizeable minority of the 1,029 athletes bolted off the line as if they were running a 5k. True to my plan, I held back, allowing eight or so women and hundreds of men to speed along ahead of me. At three kilometers, we entered the dunes. Once again I found myself unprepared. The running/hiking suited me well as the sand felt much like the snow that comprised my winter training. The beauty, however, held me in awe. Wind-formed waves of sand with an amplitude of roughly two to three inches topped the smooth curves of the dunes. Footprints of the runners ahead of me broke the wave-laden landscape into two halves. The sun, rather than harshly stealing my energy, lifted my spirits. I’d been traveling and stressing, and not running enough in the days prior to this one. Now I saw life in the beautiful contrasting colors and textures surrounding me. I heard a melody of mixed language and accents as I passed many people who’d started with perhaps a bit too much excitement. All were smiling; all exchanged positive words. I took the stage gently but seriously. I pushed enough to get what I speed I could out of my body without pushing myself into deficit spending of my fitness reserves. In the end, I placed second for the day, about 11 minutes behind Laurence. Laurence and I met at post-stage gear check (generally compulsory for places one through three women after each stage). Despite the fact that we have a poor understanding of the other’s native tongue, we had enough to know immediately that, were we to live near one another, we would be friends. She’s a warm, friendly person who showed me the two pieces of seemingly extraneous weight she allows herself to carry throughout the event, a toy fish and a bracelet. Each piece represents one of her two children. Her humanity immediately overshadowed her competitive side as we shared her love of her children and mine for my friends and my pets. Thierry, head of the gear check, put me at ease by jokingly pocketing the required 200 Euros I showed him. Later he noticed a wound on my knee I had received the week before when my dog, Vika, tripped me on a training run. The wound was quite deep and needed to be redressed, but I had the first-aid supplies with me to care for it myself. Being a bit of a worried mother hen, Thierry insisted I go to first aid before a queue formed for more hygienic care than I could provide in my tent. Ever paranoid, I asked if that would incur a time penalty. He laughed, explaining that first aid was necessary and not something to be penalized. A few minutes later I sat on a nearby bench which prompted Thierry to point at me and exclaim, “One-hour penalty!” Okay, Thierry, point well taken: time to put my paranoia to rest. Stage 2 was flatter, longer, and not quite as beautiful as the first. The heat bothered me a bit more on this day, but I think this was more a factor of me having to work relatively harder on a flat course which did not suit my strengths than an actual increase in ambient temperature. Though holding back a bit, I worked harder than I had the day before. Still, Laurence widened the gap between us. At the finish, a television reporter asked if there remained any possibility that I could win from my 22-ish minute deficit. I smiled and said that Laurence may be the stronger runner overall, but I was not out of contention. Stage 3 started similarly, with Laurence gliding off ahead of me. She is a beautiful runner, who others rightly call ‘The Gazelle.’ Being a hamster in a wheel to her gazelle on the sand, I patiently closed the gap Laurence again placed on me during the first half of the stage. About 6k from the stage end, I caught her. As I passed, she warmly squeezed my hand, and we exchanged a smile of athletic commonality that transcends language and culture. I ate into her lead by 4.5 minutes. Thierry continued to playfully take my Euros from my kit. Gear control changed from something that scared me with thoughts of, What if I dropped my compass as I took some food out of my front pack pocket?, to a language class in which Laurence, Thierry, and I taught each other the appropriate words to describe pieces of gear or types of food. I remember Roch Horton once saying that every long race has its iconic point, or some other special piece that overshadows the rest. For example Rucky Chucky in Western States. Not only does the river crossing break up the run into the first and second part in the minds of many, but it just has an energy, a meaning, some sort of je ne sais quoi. Well, for many, I think, in the MdS, this point is the entire fourth stage. Some folks sleep and eat full meals during the stage and break it into two days. The people racing for top places use it to make massive moves on the competition. It hurts like hell, it’s always hot, and winning it can give a runner the race. In any event, Laurence and I ran the first 12k together at a pace faster than I would choose if running simply for the fastest time I could achieve. But I figured that I am better than many at recovering from a fast start, and I had to push her beyond her comfort zone if I were to have any chance at the overall win. At about 13k we climbed a huge jebel (desert mountain). I let her push the pace ahead of me. After summiting, I took advantage of one of the rare technical downhills to play with speeds I would not see the rest of the week. I was slightly out of control, which I honestly find more exciting than scary, as I laughed my way past many a fellow athlete. I know I cannot beat these folks on the flat, but I could at least make sure they had to work hard to catch me once the descent ended and we returned to miles of flat, fast terrain. Laurence caught me eventually, after my pass on the downhill, but faded just before Checkpoint 2. I slowed my pace to recover from the fast start and the all-out downhill effort. The raced progressed well but often painfully from there. Entering Checkpoint 5 I’d been voiding more blood than urine while concurrently feeling the onset of a urinary tract infection. I was tempted to avoid mention of this to medical for fear of being held for treatment. But by this time, it was pretty clear that the MdS medical team knew the difference between a condition that would be very uncomfortable and one that would be an actual risk to the athlete. As expected in my new-found confidence in the event controllers, the doctor and medic with whom I spoke were fantastic. They did a quick verbal history while closely watching my speech/behavior to rule out kidney dysfunction, hypo/hypernatremia, or similar serious problems. Then they told me to go to the clinic the next morning where a doctor would properly test me for infection and other possible causes of the symptoms. Thus relieved mentally, I continued quite painfully to the finish. Despite the urinary-tract pain, or perhaps because I felt motivated to run away from it, I gapped the field well enough to place me at an hour’s advantage over Laurence going into the final, flat marathon stage. My paranoia returned immediately. Did they give me an hour penalty, and not tell me?, I asked myself. Laurence and I had planned to run the stage together, but now I thought my placing was in jeopardy. Laurence said to me, “Did you hear what Patrick said? That would be good for me, but it is not true.” She clearly believed Patrick had made a mistake and did not want me to be upset by it. So I ran the stage just a little harder than expected, being sure to be within a minute of my competition. On finishing, I learned that I did in fact have an hour lead on second place. I had simply, once again, let myself stress over something which would turn out to be inconsequential. Overall, I love the experience I had in the Sahara. The race pleasantly surprised me. For the most part, I did not allow my initial negativity to mar my experience. As with every ultra-trail race, I met great people, found a fantastic challenge, and had glimpses of amazing natural beauty. I entered believing I would never want to return to the MdS, and I finished looking for the next year’s race application. Congrats on an awesome performance! Great race report. If this years snowpack in se MT is anything like northern WY, you will still be getting some skiing in before WS training goes into full swing. Good luck at Squaw. Great write up Nikki, and thanks for sharing your inner anxieties. We all have these sort of internal stresses (and so often they turn out to be immaterial), but they are all too commonly glossed over in the aftermath. It was a lot of fun to follow your progress (and really ironic to have dinner with Meghan Hicks on the last day of MdS). I knew you'd do really well – this is an event that favors really tough runners, and NObody is tougher than you are! Congratulations Nikki! This is a race that I always enjoy reading about. However I would have a very hard time wrapping my head around actually doing it!